When I was looking through the swatches of this collection, my eye was immediately drawn to The Wrong Alice. What would you call this shade of blue? Turquoise? I'm gonna go with Turquoise. 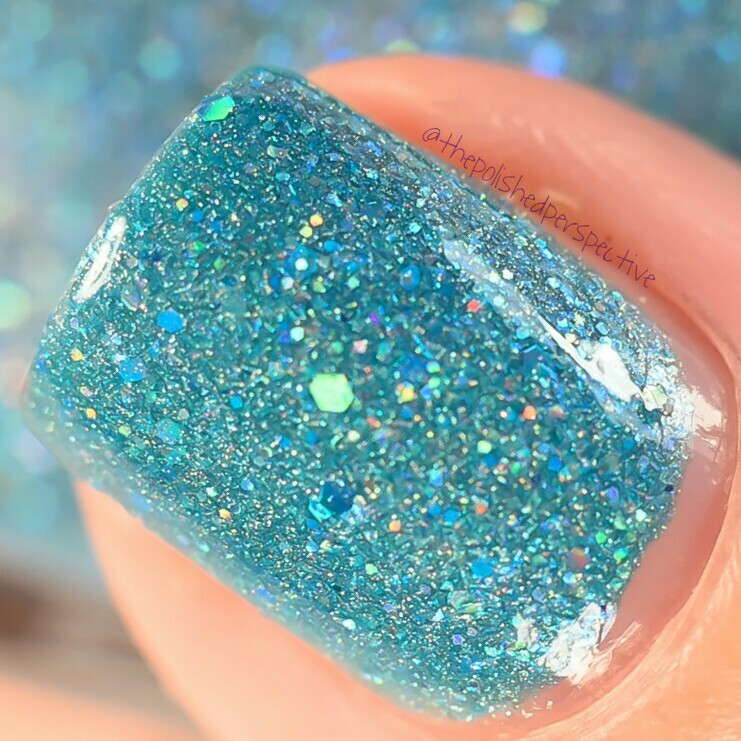 This beautiful polish is also loaded down with holo shimmers, glitters, and blue glitters. It doesn't dry 100% smooth, but it wasn't really textured either. I was able to completely smooth it out with one coat of top coat. I did two on my ring finger and didn't notice much difference. The formula on this one was excellent. 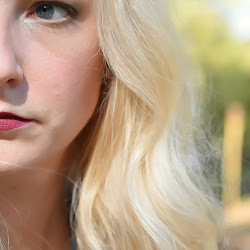 I had full coverage with one coat and the second coat made it even better. I usually wear a peel off base with these, but if I'm going to wear these awhile I skip the peel off base and remove with 100% acetone. The removal with acetone isn't too terrible. 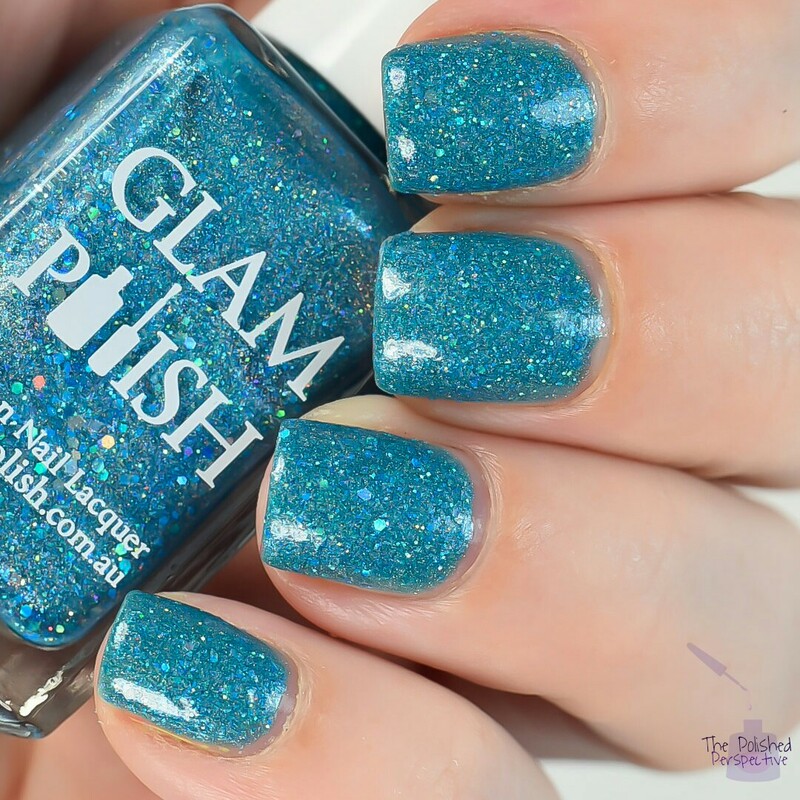 I love ordering from Glam Polish because the turn around time is lightening fast and I have always had great customer service. I'll blog about the other polish I bought from this collection next week! Sign up with your email address to receive nail polish and nail art updates to your inbox!